The information reaching us at an early hour of yesterday, Wednesday 31st October 2018, had it that the governing council chairman of Ladoke Akintola University of technology LAUTECH ogbomoso, had since declined the proposal brought before the council by the management for consideration on the new fee regime. This development, we gathered was born out of the believe of the council chairman that, education is not for the masses but for those who can afford it, as he has been caught on several occasions saying, the parents of the students should sell their properties if truly they intend sending their wards to school and those who couldn't afford the new fee should go back home. Our intelligence, also gathered that, the council chairman who had earlier requested five hundred million naira (#500,000,000) from the school purse to purchase official vehicles for the governing council members, insisted on the outrageous amount to be paid by students considering the fact that their tenure may be brought to an early end, since there will be change in government comes early next year, has been sourcing means to gather enough money to cater for their retirement as council members. 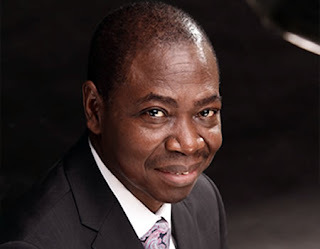 Professor Dapo Afolabi, who was once a member of the teaching staff here in LAUTECH before, and has served as the head of service to the Nigeria government under President Goodluck Jonathan's adminstration before been appointed as the chairman of the governing council of the institution, as been perceived to be a capitalist who believes wealth are distributed evenly and everybody should be able afford anything at any price.